Please note: Updates with answers to my questions from a Walt Disney World spokesperson are below. I’ve added a few strategy ideas too. 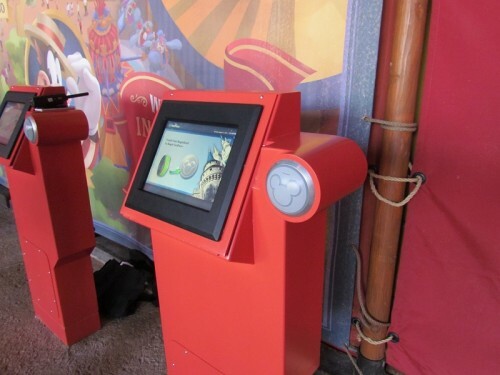 There’s some magic happening behind the scenes at Walt Disney World’s new MyMagic+ and Fastpass+ service. A few weeks ago Disney Park’s chair Tom Staggs promised us changes were coming, and now they’ve delivered. Starting Monday, after you have used your initial three FastPass+, you will be permitted to select an additional Fastpass+ via the kiosks located in the parks. Then, after you’ve used that one, you’ll be able to choose another, and so on until you run out of time or the park runs out of Fastpasses (most likely the latter at EPCOT, btw. It only has 8 FP attractions). Disney has also turned on the ability to select and use additional Fastpass+ when you park hop as well. 1a. 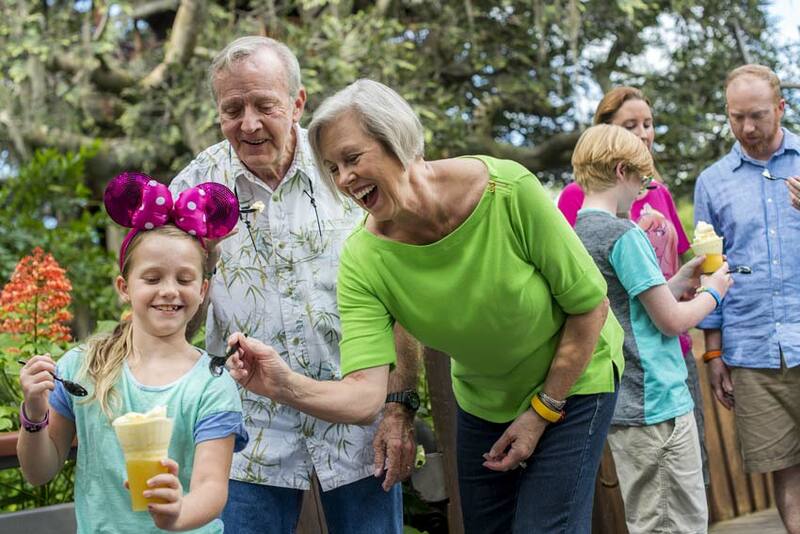 Do you have to use your first three Fastpass+ entitlements before you can park hop? 1b. If not, do you lose your Fastpass+ in the originating park if you do park hop. For instance, if you have two morning FP reserved and one late night FP, can you park hop in the middle and use FP at the second gate? Answer: You must redeem or pass the arrival window of all three Fastpass+ entitlements before you are eligible for the next Fastpass+ selection. 2. How does this work in parks with tiered offerings. Assuming, a FP+ for Test Track is available can I reserve it after I’ve already used one FP for Test Track in my original three entitlements? (it would have to be a real slow day at EPCOT for this scenario to be true, but it’s good to know). Answer: After you have redeemed or passed the arrival window of all three Fastpass+ entitlements, you can select a Fastpass+ for an attraction or show you have previously selected the same day, if they are available, of course. 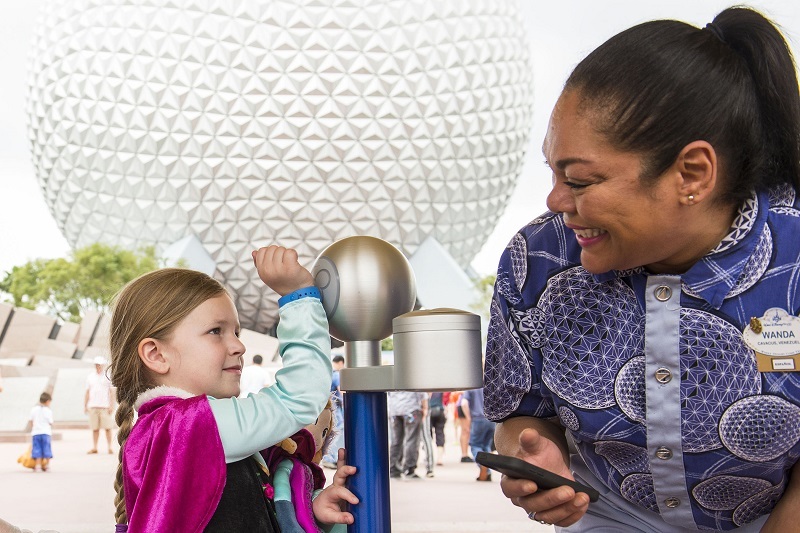 This means that at Epcot and Disney’s Hollywood Studios, you will be able to make additional selections from any available experience in either experience group. For now this change is only available via the in park kiosks. But a Disney World spokeswoman says that they still in test mode and are working to make it available via the My Disney Experience app. Arendelle’s Royal Family has made the move from Norway to Princess Fairytale Hall in Fantasyland. That’s not all that moved, so did the extremely long wait times. On Easter Sunday, the first day the sisters were appearing in the Magic Kingdom, the wait time was 2.5 hours immediately after opening and climbed up to 4 hours wait time mid-day. 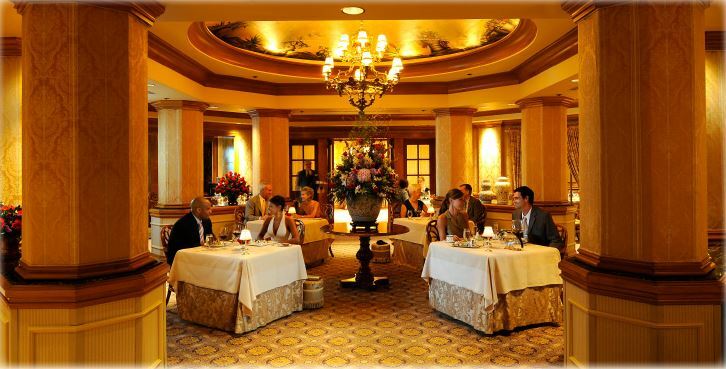 Times not dissimilar from their location in EPCOT. 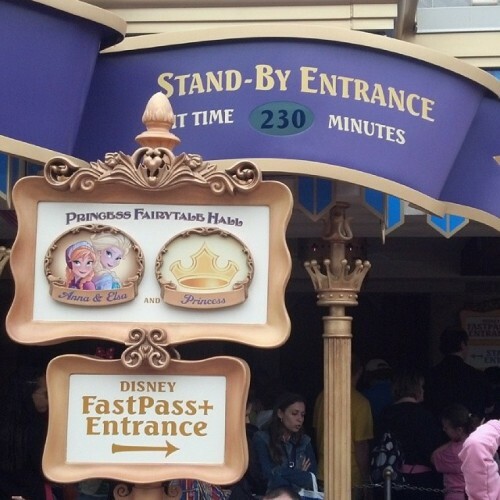 The good news is that there is now Fastpass+, which means lucky guests can reserve a short waiting time for Disney’s most popular princesses. Resort guests will have first crack at times 60 days in advanced with off-site guests and annual passholders window opening at 30 days. 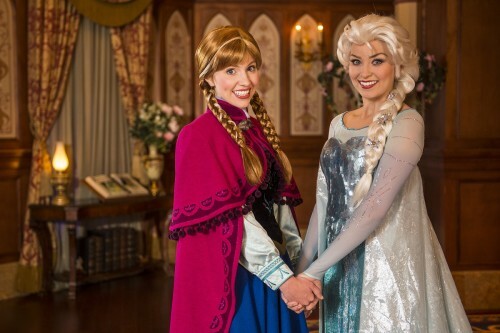 I’d had heard rumors that Anna and Elsa were all booked up through June 30th, but I was just able to find two weekend days in April with reservations available. That may be because Disney has been holding some slots in reserve or because others have canceled their Fastpass+ times making them available for me. The lesson is to not give up if every day of your vacation is reserved right now, keep checking and a time may become available. Can You Really Cook in a DVC Kitchen? This post brought to you by Christina Wood of Pixie Vacations, the preferred Disney vacation travel planner of The Disney Blog. 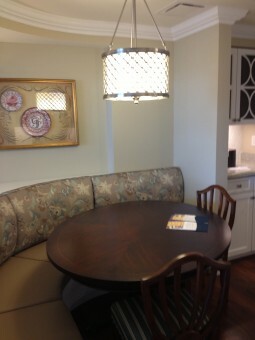 Disney Vacation Club (DVC) resorts are Disney’s timeshare properties. They’re basically very nice condos attached to Disney deluxe properties and while booking priority is given to DVC owners, non-owners can also enjoy these properties if they book far enough in advance. These one, two and three bedroom properties feature multiple bedrooms and bathrooms, a washer and dryer, and full kitchens. The downside, of course, is the price. But the upside is all the comforts of home. Of course, not everyone thinks that having to cook on vacation is a great deal, but for those who want to cook or, for those that need to cook due to food allergies, having a kitchen can be a great bonus. 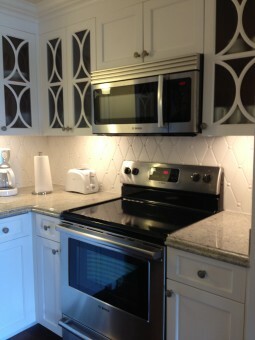 So what’s available in these kitchens? Obviously, they’re not as well equipped as your kitchen at home. 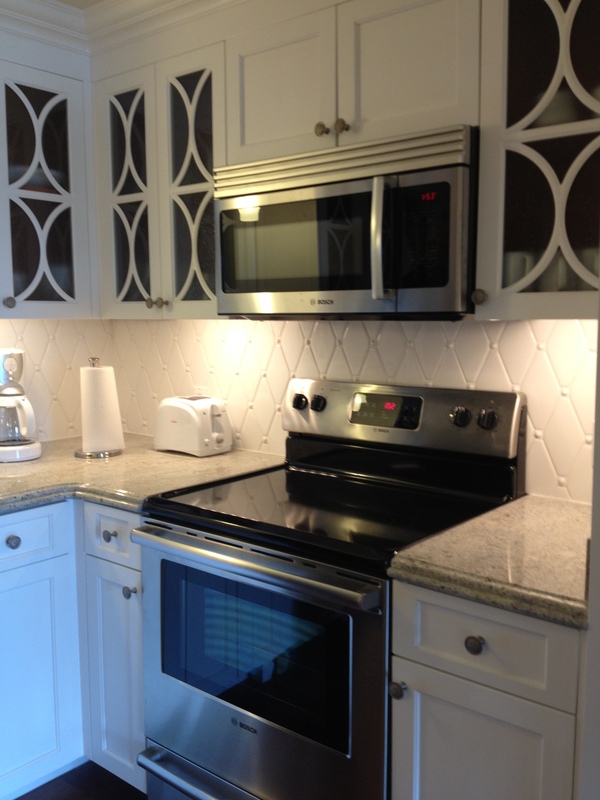 You’ll find an electric range with a ceramic cooktop, a microwave, full-size refrigerator, toaster, and dishwasher.